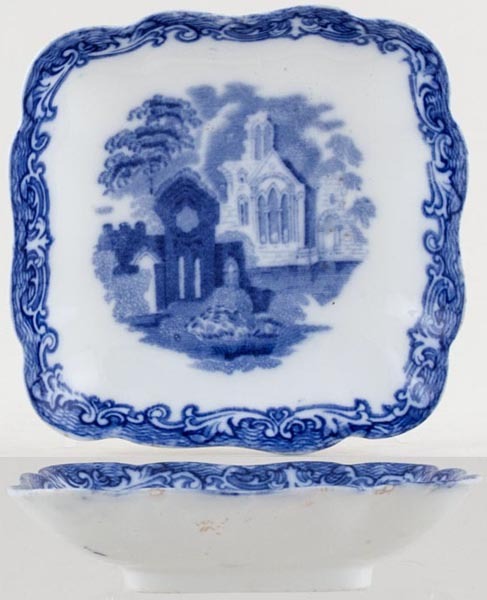 Lovely little fluted dish AB 24 Royal Shape in George Jones Trade catalogue. Backstamp: George Jones & Sons England Abbey 1790. Underneath the dish there is some wear and discolouration and a little minor mottling inside.